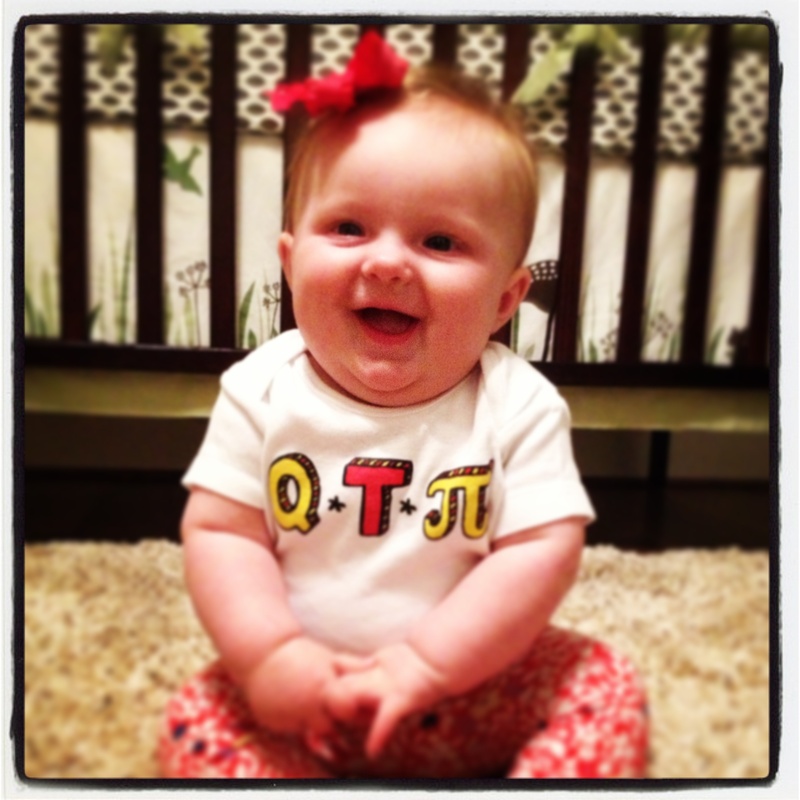 Happy Pi Day from your favorite little MNIT (Math Nerd In Training)! Thank you Dawn for the awesome onesie! Today we practiced saying “Pi” but still have some work to do! Previous Post Happy Half Birthday, Miss Landri (More Daddy Daycare Alerts, and New Soothing Techniques & Skills)! Next Post Spring Break Bikini’s! She adorable love the oneise.